COMMENT: Michael O’Leary drops his foot in it. Ryanair prices to come down? 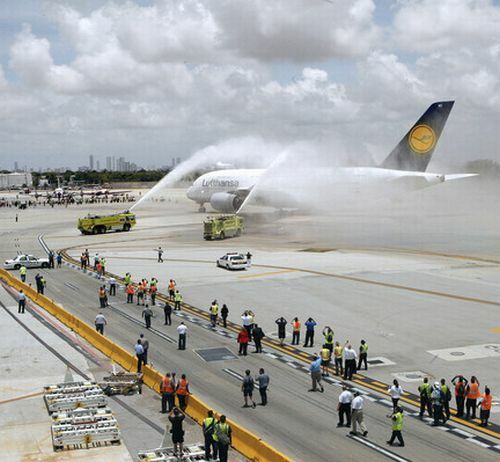 Just 12 months after its introduction into service Miami has become Lufthansa’s latest Airbus A380 destination, the aircraft making its first landing last Friday with a welcome worthy of a Concorde inaugural at its best. Large crowds lined the roads around the airport and traffic stopped on the Freeway parallel to the landing runway. Miami made a great fuss about the aircraft with William D. Talbert III, President and CEO of the Greater Miami Convention and Visitors Bureau, saying the Germany was the city's largest incoming tourist market. This was Lufthansa’s seventh A380, the eighth due this week and set for Frankfurt – Singapore in September. Another arrives in April 2012 with a decision yet to be made on where it will fly to. The airline has 15 on firm order. 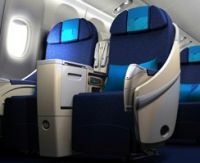 British Midland International (bmi) is to give its Heathrow to Freetown, Almaty/Bishkek flights a major boost with the introduction of an Airbus A330 and a substantially upgraded product from late June. The flights operate on a Monday, Thursday and Saturday. The aircraft will offer 36 Business Class and 196 Economy seats and will replace the leased Boeing 757 that has been operating on these services. Readers travelling to Bishkek may note that Kazakhstan charges a £15 visa transit fee, which is payable in both directions. The new fleet of RAF dual passenger/in-flight tanker Airbus A330 aircraft are to be fitted with in-flight entertainment facilities provided by IFE Services of Knutsford, Cheshire (UK). The aircraft can carry up to 291 personnel. The Future Strategic Tanker Aircraft (FSTA) programme will use 14 specially converted new aircraft supplied by AirTanker Ltd, a consortium that includes EADS, Babcock, Cobham, Rolls-Royce and Thales. The contract also calls for all the associated support including aircraft maintenance, training, infrastructure, fleet management and ground services. The first aircraft is due to be delivered to the RAF at Brize Norton in September. Heathrow has completed the installation of electric vehicle charge points as part of its collaboration with Transport for London (TfL) through the 'Source London' programme. 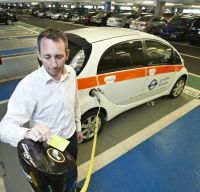 Passengers who own electric cars can now charge their vehicles at Heathrow Terminals 1, 3, 4, and 5 short-stay car parks, which have two charging points installed, serving four parking spaces in each car park. Heathrow is playing a vital role in supporting the Mayor of London's programmes to decarbonise London's vehicle fleet. Each passenger journey made by an electric vehicle will result in zero emissions reducing the impact on climate change and local air quality. 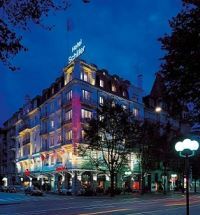 The Renaissance Lucerne Hotel, housed in a century-old City Palais and situated in the heart of Lucerne, is located only a stone’s throw from the shores of Lake Lucerne. It blends modern design with classic sophistication. Guestrooms feature luxurious bedding, rainfall showers, iHome docking stations and flat screen televisions. At the other end of the scale, and not large by American monster standards, the 212-room Renaissance Istanbul Bosphorus Hotel, due to open in early 2012, has been announced. Passengers transferring between flights operated by oneworld member airlines at its key airport hubs will find their connections smoother still from later this month. The “Express Connections” service is designed to make it as easy as possible for passengers connecting between flights operated by the alliance's carriers – particularly at times when schedules are disrupted. Manned by customer services representatives from all oneworld airlines operating at each airport the aim is to iron any snags in flight connections before passengers are even aware of them. Working together, the teams monitor flights to identify passengers due to arrive but who have either already missed their connection or are expected to land with less than the normal minimum connection time before their onward flight. Those who have already missed their connection are met at the aircraft gate by staff who have already booked them on the next available flight and printed new boarding passes. Those below the minimum connection time are met at the aircraft and fast-tracked through. “Express Connections" facilities are established at Chicago, Heathrow, Madrid, Miami and New York JFK. In a move to reduce the delays of mishandled baggage, air transport IT provider SITA has enabled its WorldTracer baggage tracing service to be used by agents with mobile devices at airports. This allows airline staff to proactively assist passengers, filing claims in arrival halls, at baggage carousels and in customs areas, which starts the process of reuniting passengers with their bags as soon as possible. Atlanta and Prague are two airports where the system has been evaluated and is now in service. 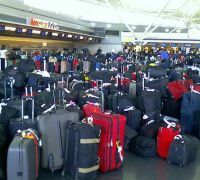 Passengers waiting for their baggage are reassured that the bag is in the system. Analysis conducted by SITA indicates that one in eight bags that need to be re-united with a passenger must be sent on a connecting flight as no suitable direct flights are available. To manage this challenge SITA has partnered with airline schedule supplier Innovata. Change a product while it is still a winner. That has clearly been Ford’s business plan for longer than I care to remember. So far the products bearing the blue oval badge have seriously benefited from that policy and the new Focus looks certain to continue the successful trend. 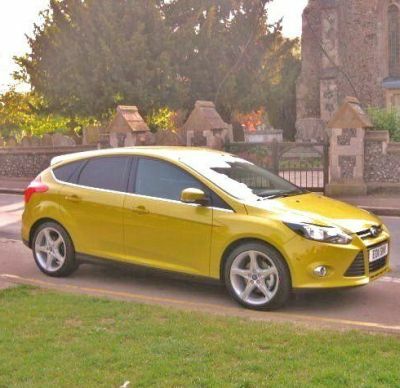 The original Focus was one of my favourite medium sized hatchbacks (and practical compact estates) for numerous reasons, the major ones being the excellent driving qualities, immaculate handling and ride and the practical and comfortable interior. Many of my Focus drives have been in hire cars and probably the model’s popularity/high usage showed up in the way of interior trim damage suggestive of cheapness. No longer the case. That came over immediately I sat in the new third generation Focus for the first time, my immediate impression was that Ford has cranked up the overall quality (as they did with the second generation Mondeo) to provide a much more substantial product. I even noted that the driver’s door shut with a good ‘clunk’ factor! Development throughout the car world has rocketed in the past couple of years and Ford has clearly kept in the environmental race in all respects, particularly when it comes to engine technology. This test car employs a 1.6-litre turbocharged engine to deliver nearly 150 bhp in both a clean and refined manner, proving wrong the long-standing claim that there is no substitute for capacity. Importantly Ford has retained the essential and sales dominating character of the Focus, prioritising a practical and comfortable cabin for five adults, above average boot capacity and a generous tailgate that, I found, allows very bulky items like furniture and white goods to be swallowed up. At the front this new Focus feels a little larger than it predecessor, as I expected the driving position is excellent with good supportive seating with plenty of adjustment and notably improved contouring. Add to that a fully adjustable steering column, good pedal position and a modern styled fascia with easy read instrumentation and generally good visibility and it is easy to appreciate why so many drivers feel at home in a Focus. One point in the visibility though, the front pillars are quite thick and obscure the view when dealing with curves such as the approach to a roundabout, requiring head movement to achieve a satisfactory view. Add to that, the large sweep of the windscreen wipers deposit the ‘wipings’ at the sides of the windscreen and adjacent to those pillars potentially increasing the visibility limit. Driving the Titanium specification model (only the Titanium X is superior) I have the impression that Ford is after a still wider market sector by appealing to customers who may be trading down in size and overall outlay but refusing any major sacrifices in lifestyle. I don’t think that they will be disappointed and nor will buyers of the lower specification Focus versions as the choice and options are so plentiful. At the wheel I found the Focus to generate a feeling of a larger car and it is only when driving on country roads or parking did I appreciate the compactness of the car and, in the latter situation, note the self folding exterior mirrors. A claimed top speed of 130 mph clearly proves the efficiency of the power unit while the claimed acceleration time of 8.6 seconds to 62 mph (100 kph) from rest shows just how lively this car is though the gears…and there are six of them all easily selectable. As to economy, a combined figure of 47.1 mpg on this model equipped with the optional Stop+Start facility, is well into diesel territory. As they say, it is not what you can do, it is how you do it, and this Focus is, as I expected, a delight for all drivers. It is hard to push it because the running gear, including the all disc braking system, is so well honed it makes easy work with clearly defined safety margins. Conversely the free revving, quiet yet flexible nature of the power unit makes for an easy driving life for those general local trips. Of course, at the trim level there are a lot of creature comforts, technological bits like Bluetooth voice control system, tyre deflation detection system, heated windscreen, speed limiter cruise control, hill start control and automatic operation of head lights/windscreen wipers/rear view mirror dipping. You also get a space saver spare wheel. Options on the test car were a £750 Driver Assistance Pack including Stop+Start, Lane Departure Warning, Lane Keeping Aid, Traffic Sign Recognition, auto high beam and Blind Spot Monitoring System and a £525 Convenience Pack featuring Active Park assist and powerfold mirrors. In essence there is a large quantity of the original Focus DNA but there is no denying this Focus has been strongly promoted in status. I strongly approve. * Rivals include Vauxhall Astra, VW Golf, Citroen C3, Fiat Bravo, Peugeot 308, Kia Ceed, Audi A3, Honda Civic, Skoda Fabia. There can be no doubt that since becoming CEO of a small and somewhat moribund Ryanair in 1994 Michael O’Leary has rejuvenated the short inter-Europe airline sector. Much of what he has achieved is to his credit. Certainly the market needed shaking up but perhaps it was a decade earlier that some bright soul really put his finger on it when the name Airbus was chosen for the new aircraft manufacturing consortium. Air bus is exactly what Ryanair offers. There is no romance in the style of aviation that O’Leary personifies. The fact that his numbers continue to grow seems to indicate that people follow the crowd. The title “The world’s most annoying airline” is well justified. The man has been incredibly lucky. He was there when the old European aviation route licence rules came down. He was there when Boeing was desperate to sell aircraft. He was there when the internet came in together with the rise of the credit card. And he was only too happy to help out airports in the back of beyond desperate to attract business. He is effectively a UK airline, with his largest base at Stansted, but is behoven to the Irish CAA, which does not have the same resources as its British counterpart. He can attack Westminster in his advertisements. One cannot see British Airways or its Chief Executive doing the same in the Dublin media. But Mr O’Leary is both Jekyll and Hyde or, as someone put it the other day, has the double standards of Sepp Blatter. When it comes to the media Michael speaks the truth, the half truth, and nothing like the truth. Sadly most of the press are gullible. His blaspheming is notorious, which does his credit no good at all. It achieves nothing and actually shows up in a bad light one side of his character. He is sadly seen by part of the Irish establishment as the man of the moment, money being the king. Others in the Emerald Isle think the opposite and he is loathed. With its sometimes lack of judgment Ryanair has within the last week praised the UK CAA ruling that Gatwick Airport has applied discriminatory charges for check-in facilities. Under what is now an agreed unfair regime, all travellers are charged for check-in facilities, even though Ryanair’s passengers have to check-in online and the majority (the airline's statistics) travel with hand luggage only. Ryanair travellers have therefore been subsidising the check-in costs of other carriers. It would seem that by April 2012 these charges must come off the monies paid by Ryanair. But will Ryanair reduce prices to clients too? Based on past performances passengers will not benefit by one penny, or even 100th part of a Euro. Ryanair will pocket the reduction and use some subterfuge in order to ensure that any savings are not passed on. This is the airline that refuses to return APD to customers who do not travel on the spurious grounds that the transaction would cost too much. The airline makes millions from this manoeuvre. This is the airline who charge every passenger one pound to assist wheelchair clients, another money-spinner. AERBT tried booking Luton to Dublin in one week’s time. We went for the cheapest flight available, asked for priority booking (which does work at Luton) and added a (small) 15k bag. The £20.99 fare became £81.82. We still do not know what the taxes and fees cover and, since we never pressed ‘buy’, what the debit and credit charges are. These do not seem to be shown on the site. Transparency is the buzz word. See also our On Tour report on IATA. Passengers don’t mind paying a reasonable fare (and at the end of the day Ryanair’s fares are for the most part reasonable). But they want to see what they are actually paying straight away. They can then choose if they want to be flown to the middle of somewhere, or the middle of nowhere and in what style. Ryanair must toe the line or be seriously fined. 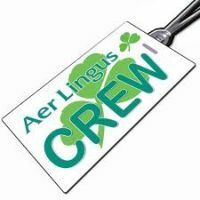 Last minute negotiations did result in the Aer Lingus strike, due last week, being called off. In many ways the damage had been done. Up to 30,000 passengers fly with Aer Lingus every day, but the airline said just 3,500 had cancelled or rescheduled their flights for later in the week. However, the threat of potential industrial action is likely to make passengers nervous about booking with the airline until the matter has been fully resolved. Both sides agreed proposals to tackle the pay and conditions issues raised by the Irish pilots' union and a vote will take place. The dispute arose over rotas and differences in rates of pay between pilots working in Belfast and those in Dublin, Cork and Gatwick. With 787 Dreamliner, 747-8 Intercontinental and Freighter, plus Qatar Airways 777-200LR and Air Berlin’s 737-700 innovative Sky Interior, Boeing will have its largest ever commercial aircraft presence at the Paris Air Show (20 to 26 June). However, visitors please be aware that this summary hides the fact that the 787 does not arrive until after lunch on the Tuesday, and is very much a working prototype with an interior full of test equipment. 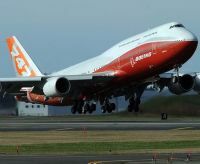 It will replace the 747-8 Intercontinental passenger aircraft, also on a test programme and likewise not fitted out. Both the 747-8 Freighter and the 787 are currently planned to depart on the evening of 22 June. Boeing will deliver the lead 747-8 freighter to Cargolux later this summer. The initial 747-8 Intercontinental will be handed over in the fourth quarter to a VIP customer, and Lufthansa will be the first airline to receive an Intercontinental in early 2012. 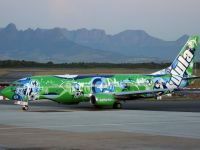 Comair has formally announced its intention to fly direct services between Durban and Gatwick. Whilst start dates have yet to be released, the airline has indicated that the flights will operate three times per week. Another decision has also to be made as to whether the flights will be operated under the BA franchise Comair branding or under their low cost brand kulula. The airline operates 14 Boeing 737 Classics but a long haul wide-bodied aircraft will be needed for the services, probably initially wet leased (third party aircraft and crew). Currently the only way to Durban from outside southern Africa is via frequent services through Johannesburg or the Emirates direct daily from Dubai. The new flights will save at least three hours including 80 minutes on the Durban – Johannesburg shuttle. Greek carrier Hellenic Imperial Airways will introduce services between Athens and Gatwick from 1 July this year with onward connections to Kuwait and Dubai. These will initially operate three times weekly using an Airbus A340 aircraft offering both a full service Business Class and Economy Class cabin. Further flights will be added over the next three months to give a six days per week service. The real bonus for customers flying between Athens and London is the Airbus A340 which is also used for the airline's New York service. It offers all the comforts of long haul travel with personal in-flight entertainment at all seats and spacious recliner seats in Business Class. 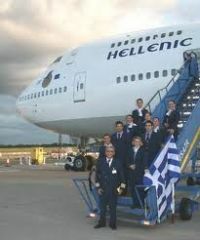 Hellenic Imperial Airways was incorporated in May 2006 and to date has only operated charter flights. 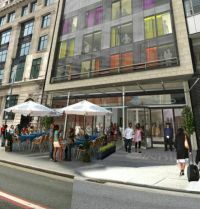 Hotel Indigo Liverpool, a 151-bedroom boutique hotel on Chapel Street minutes from the World Heritage Site, has opened. It features a Marco Pierre White Steakhouse Bar & Grill, his third North West venue and will also offer an exclusive non-residents’ lounge providing a regionally inspired menu with an al fresco dining area. 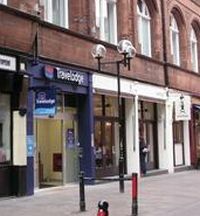 The Liverpool property follows the 95-room Hotel Indigo Glasgow and properties in London at Paddington and Tower Hill. In 2012 Hotel Indigos open in Edinburgh, Birmingham and Newcastle. The design very much reflects the local area. Hotel Indigo Liverpool, owned and operated by Sanguine Hospitality Ltd, will reflect the city’s cotton trade history and include themed decoration in its rooms and artwork depicting its location including St Nicholas Church, Edmund Street, the Cotton Exchange and the Liver Birds. UK Minister for Transport Philip Hammond was Guest of Honour at the Aviation Club last Thursday and put on a typically quality Westminster presentation fully aware that with some guests he was not the most popular Cabinet member. In a speech which there were plenty of mentions of enquiries but nothing of substance. The Times noted that the Government's political decision to stop Heathrow’s third runway was “witless”. 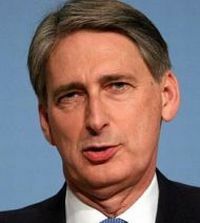 Mr Hammond more or less said that he did not want the job and would have preferred being Chief Secretary to the Treasury, a dig at the Liberal Democrats. ‘Metro’ hotels is the latest thinking from Travelodge, said to be the UK’s fastest growing hotel company. The Dubai-owned company announced plans to develop ‘Metro’ (small) style hotels, in prestigious locations and in office blocks across the UK, in a bid to meet the growing demands of its customers. These properties will be between 20 to 40 rooms in size. The ‘Metro’ hotel model will allow the hotel chain to open properties near to existing popular Travelodges in locations where larger development sites are not available. Properties that will be considered under this new scheme include: floors in office buildings, business parks, pubs, old cinemas/theatres, snooker halls, listed buildings, retail outlets and derelict buildings. Jazz as an airline may have come in with a bang but it is going out with a fizzle. 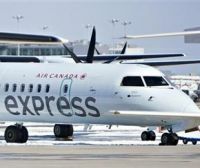 From the beginning of this month all services operated for Air Canada by Jazz Aviation LP have begun flying under the name Air Canada Express. Air Canada says that this is part of an ongoing rebranding of all the airline’s regional services. From a marketing point of view it makes sense, and for the traveller there is no misunderstanding who is the operator. The first Jazz Aviation aircraft to feature the Air Canada Express livery is a new Bombardier Q400 NextGen aircraft that will begin service this month, with the remainder of the Jazz fleet flying for Air Canada Express to adopt the new livery as additional aircraft are delivered or existing aircraft repainted under their regular paint schedule. Braathens of Sweden has become the fourth customer for Bombardier’s slow selling all new C Series regional jet. Its firm order is for five smaller CS100 aircraft and five larger CS300 mainline jets. 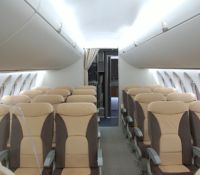 The 110- to 145-seat aeroplane is set to enter the market in late 2013 and compete with Boeing 737 and Airbus A320 aircraft. Pre-Paris Air Show the order book stands at 30 for Lufthansa, 20 with Lease Corporation International, 40 Republic Airways and the 10 for Braathens which are expected to go to its Malmo Aviation subsidiary. The C series aircraft is designed to be operational out of London City Airport and is said to be able to make New York non-stop with a reasonable payload. 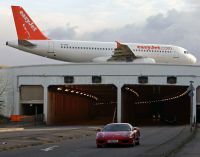 Budget airline easyJet, now aiming towards the business travel market, has confirmed that its new Flexi fare is available on the airline's website. This gives passengers unlimited flexibility to change the date of their flights up to two hours before the scheduled departure time. Passengers booking an easyJet Flexi fare will also benefit from automatic speedy boarding, no booking fees and a checked in hold bag included at no extra cost. They can make unlimited date changes within a four-week time window – one week before and up to three weeks after the original booked travel date. 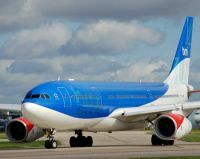 In another move, and following agreement with Manchester Airport Group, the airline has committed a sixth Airbus for this year with a seventh due to arrive in time for the 2012 summer season. 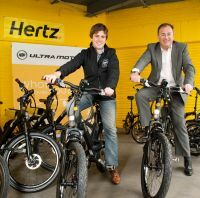 Electric bikes are now on offer from Hertz in London. The world’s largest car rental brand is very much into an eco-mobility programme which the electric two wheelers fit very nicely. Supplied by Ultra Motors every customer receives full training, a lock, optional helmet and a copy of the AA Leisure Guide to London with suggested bike rides around the capital. Visitors and residents alike have a choice of the Fast4ward Edge (folding) and A2B Hybrid 24 models, at up to speeds of 15.5mph. Twelve bikes are available for daily rental from Hertz’s Marble Arch location, for £20 per day. The oneworld airline alliance is to gain a substantial foothold in South East Asia with the proposed addition Malaysia Airlines. The arrangement is expected to be consummated by the end of next year. As it prepares for its alliance membership, Malaysia Airlines intends to develop bilateral links with a number of oneworld's established partners and already code-shares with members Cathay Pacific and Royal Jordanian. Three established oneworld member airlines currently serve Malaysia, with Cathay Pacific, Japan Airlines and Royal Jordanian flying to Kuala Lumpur, and Cathay Pacific also to Penang and, through its Dragonair affiliate, Kota Kinabalu. Opportunities for expanding the alliance's coverage of the country will be explored as Malaysia Airlines prepares to join. 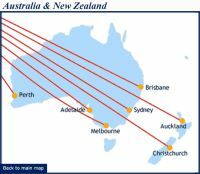 Whilst Singapore Airlines (SIA) is now publically saying that its 49% stake in Virgin Atlantic is up for sale it is also establishing what it calls “a landmark agreement” with the recently rebranded Virgin Australia Group. Sir Richard Branson was prominent when Virgin Blue, Pacific Blue and V Australia combined to create Virgin Australia in May of this year. Virgin Atlantic is thought to own 25% of what is Virgin Blue Holdings Ltd, which has a 14.99% ownership by Air New Zealand (ANZ), itself once owned by Singapore Airlines. Both ANZ and SIA are members of Star Alliance. 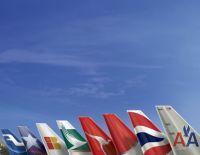 Under the agreement, the two airlines propose to codeshare on each other’s international and domestic flights; offer reciprocal frequent flyer programme benefits and lounge access; co-ordinate schedules between Singapore and Australia and beyond to provide seamless connections; and engage in joint sales, marketing and distribution activities.